Eco, which is the largest internet industry association in Europe, is holding a virtual meeting later this month to discuss Brexit. 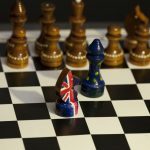 The meeting, which is scheduled for July 27th at 1200 UTC, will be the first of several dialogues among industry to discuss the potential impact of the UK’s exit from the EU on the domain name industry. As I mentioned in a recent post, the exit of the UK from the EU has an “unknown” impact on how domain name registries and registrars will interact with UK based registrants. A lot of ccTLD operators impose restrictions on who can register domains in their namespace. 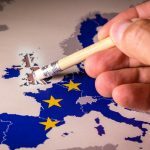 While over the last few years more and more country code operators have opened up their rules to allow for other EU based individuals and organisations to register domain names, with the UK planning to leave the European Union the impact on both existing and future domain registrations is unknown.